Something that I remember today, when I was studying architecture, one of most important things to develop for better designs are lighting and shadow. It’s so fun when we play with them in sketching works. 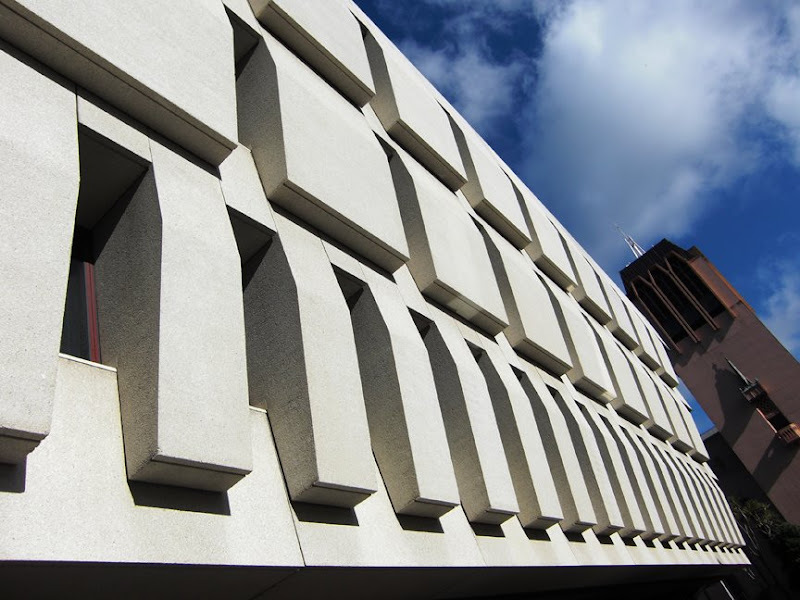 It doesn’t matter how we get the light whether natural or artificial, lighting is always an interesting element to play with in architectural design. Beside the shape of the fixture, the shadow effect also play the main role in order to get the best design result, are you agree with me? I think so. We can play with natural lighting under shin shines, but at night we need to play with artificial lighting such as lamp. Two factors for consideration in the world of artificial lightning are the color of light and the fixture design, we need to pick the best match to our design theme whether traditional, transitional, or contemporary. Another important thing for designer to concern is the detail of course, we all know what Ludwig Mies Van De Rohe said: “God is in detail”, right? It’s important for us to work closely how to handle all of the detail in our building such as window, the transition between wall and floor, stairs, railing,ceiling, and many more. And don’t forget the accessories, we need to play with them as well. In this case what we need is researching product catalog available in the market, the richer design vocab we have the better, because we need more options to chose what architecture elements that match to our whole design concept – exterior and interior. There are well known design workshops and manufactures that keep producing good product for our needs such as Minka Aire, Alessi, Modern Fan Company, and many more. Designed by Foster + Partners, the new Winspear Opera House in Dallas offers more access for a wider audience. This opera house features a generous solar canopy which covers a shaded pedestrian plaza, outdoor performance space, and other public spaces. The auditorium has 2,200 seats that wrapped under the rich red glass drum. Proposed by BIG for an invited competition, the World Village of Women Sports (WVOWS) in Malmo is a 100,000 m2 project to facilitate the research, education and training in one place. No doubt it will create new landmark for the area. To complete the design work, BIG collaborated with AKT (British structural and civil engineering firm), Tyréns (Swedish consultant) and Transsolar (German climate engineers). 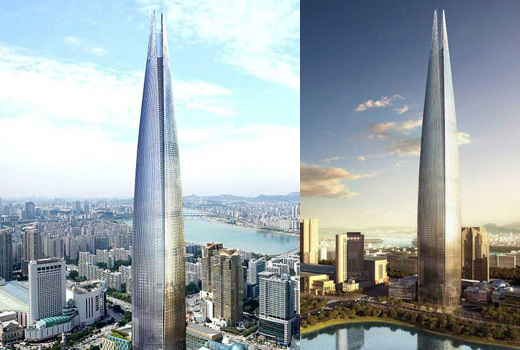 Designed by KPF, the Lotte Super Tower 123 is scheduled for completion in 2014 in Korea. When completed it will be the second tallest skyscraper in the world right after the Burj Dubai. It’s mentioned as the truly mixed-use tower designed with ideal “vertical city” in mind. From bottom to top, the use of the building covers public transport connectors, retail, residential, offices, hotel, observation deck, and public space.